The devastation of Hurricane Harvey has haunted all of us with images of suffering and displaced people and animals. 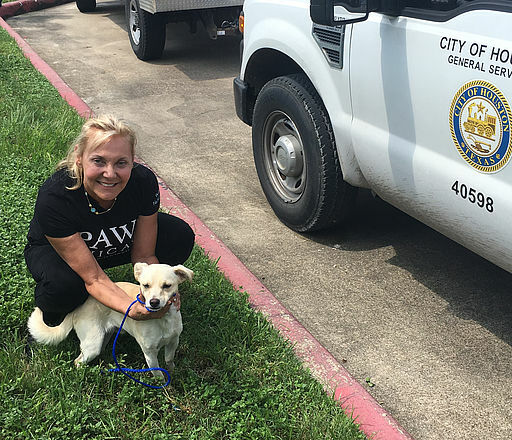 PAWS Chicago is in Houston working at Houston Bureau of Animal Control (BARC) to help make a difference and rescue animals. After having lost everything, many people have no option but to give up their animals. We have seen cars lined up with people looking to drop off their pets at Houston BARC. 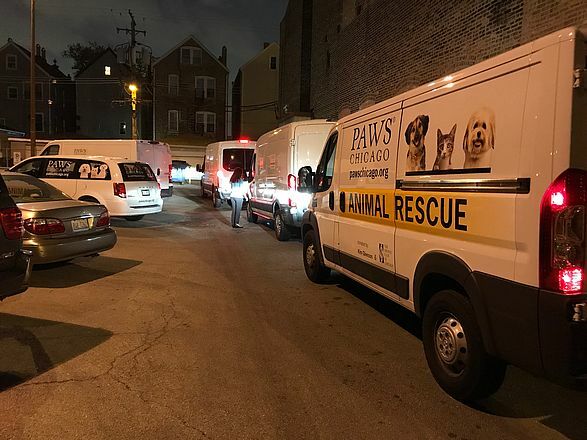 Our four rescue vans are in the process of evacuating pets from the region and bringing them to the PAWS Chicago Medical Center, alleviating some of the overcrowding. 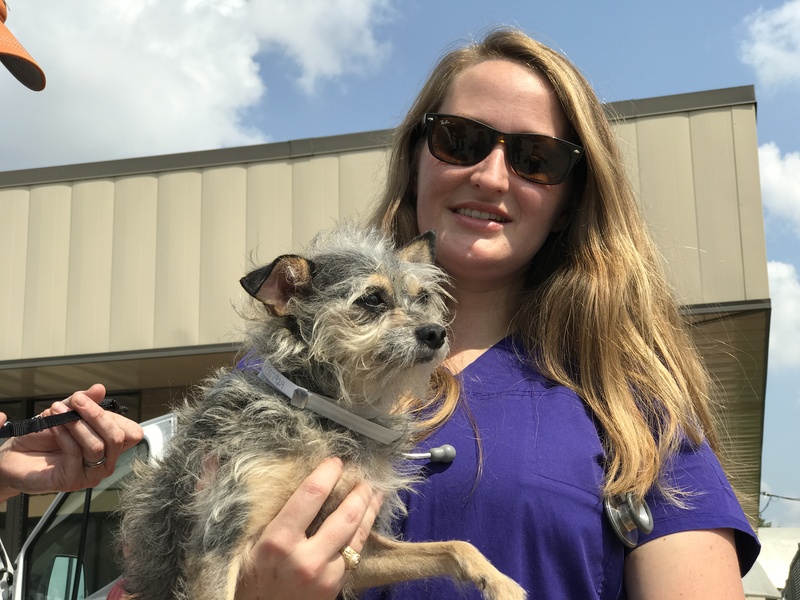 Our rescue efforts are focused on pets who were given up by their owners or who were previously in local shelters before Harvey hit, making room for the the influx of homeless animals. Meanwhile, we are readying our Medical Center for the pending arrival. 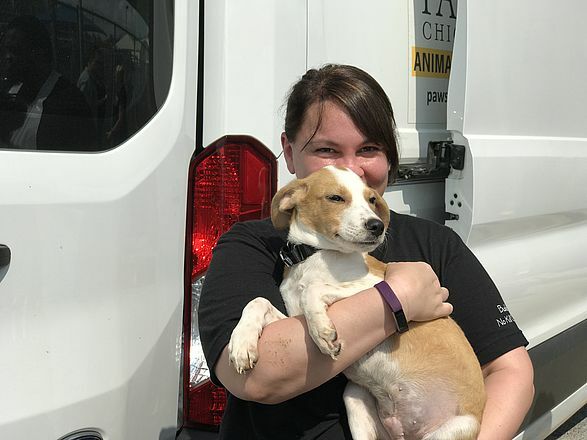 With this rescue mission, PAWS Chicago’s need for resources have increased. 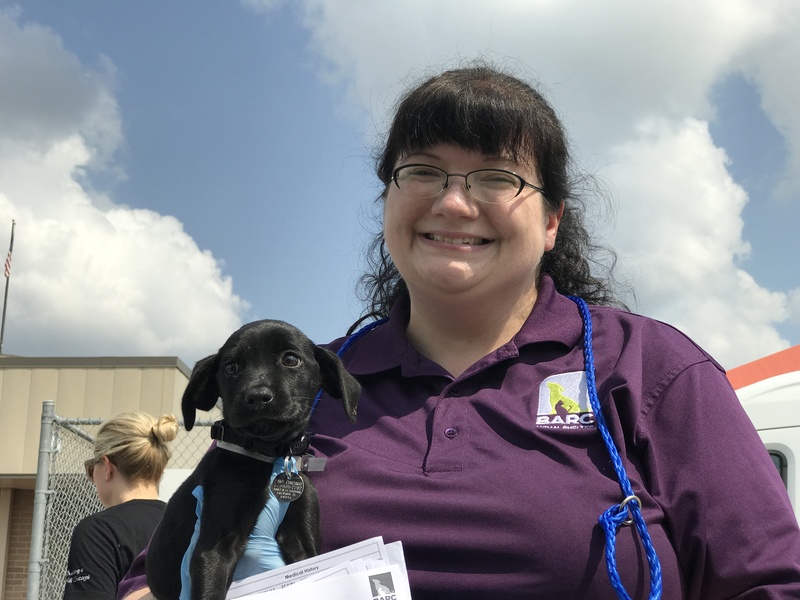 Foster homes and medical supplies will be required to care for these animals, many of whom are sick, injured or traumatized by recent experiences. 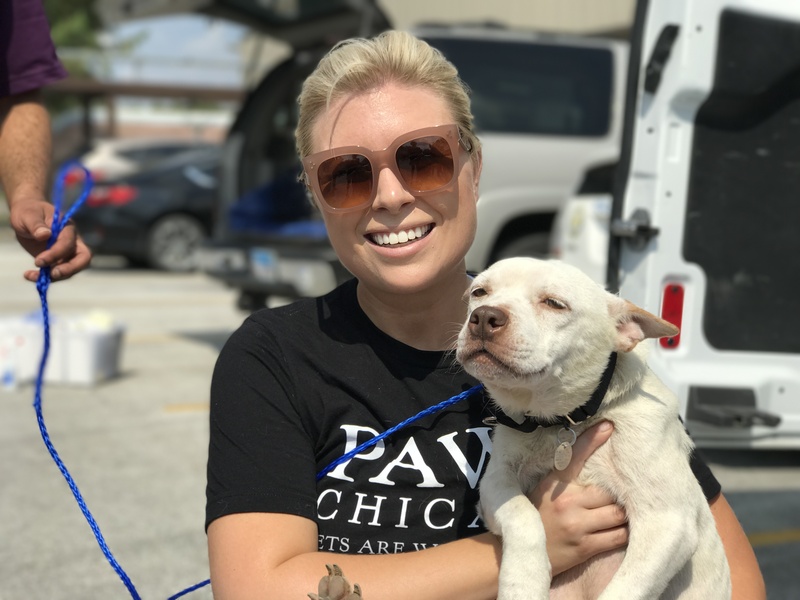 PAWS Chicago welcomes donations and asks for people in Chicago to open their homes to foster pets and to sign up to volunteer. Join our efforts to help alleviate suffering. 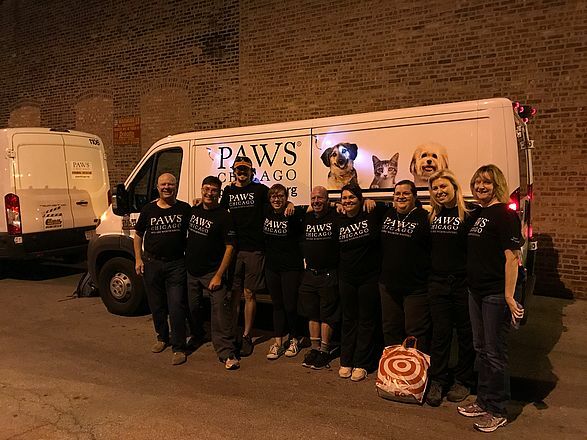 PAWS Chicago takes action in natural disasters. 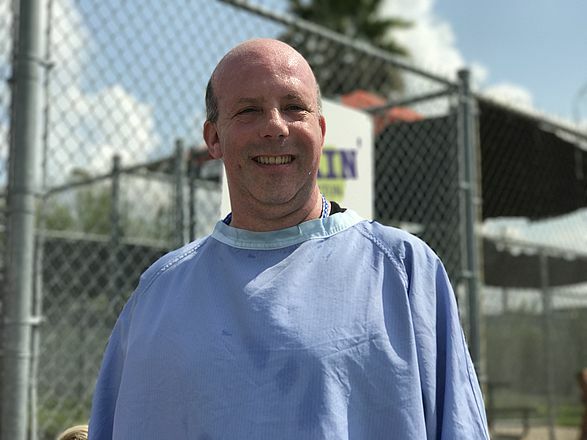 Our relationships go beyond emergency rescue, forging long-term partnerships to help communities long after the disaster subsides, supporting spay/neuter, medical and rescue efforts long-term to help create sustainable impact. 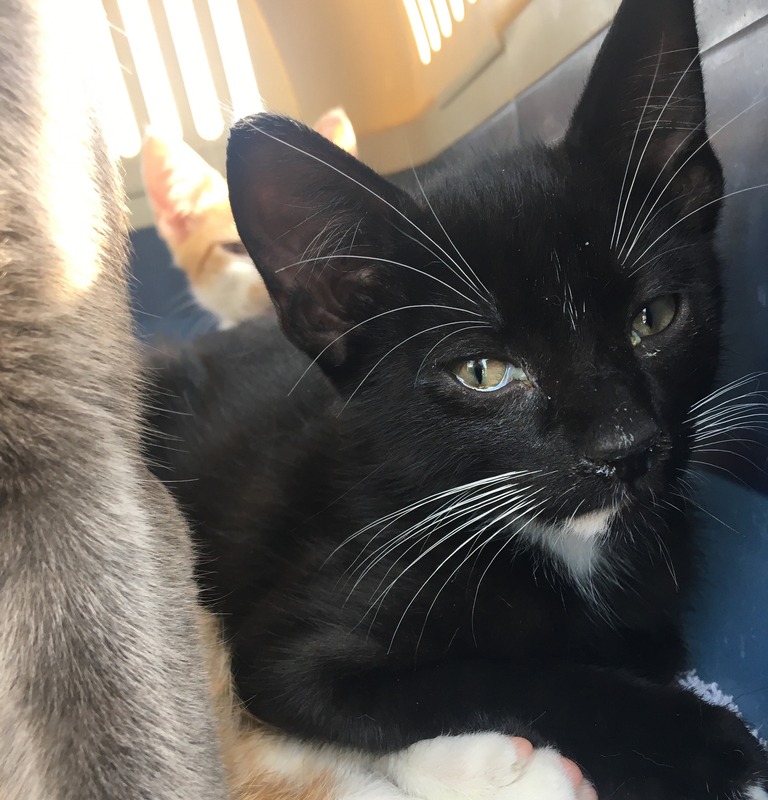 Your support will make a real difference for animals in Harvey impact areas. We do not know the conditions of the animals we are rescuing. Your donation will go towards medications, medical supplies, vaccines, van rental fees, and gas. This will not be a one-time trip, but rather an ongoing effort for long-term impact. We will post routine updates on the Harvey Rescue Mission as details are available. Check back often! 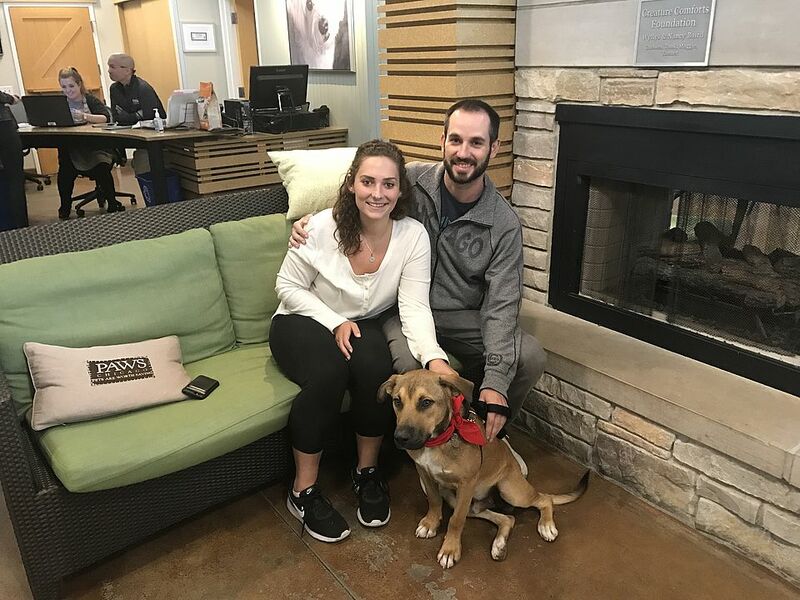 Brian, a one-year-old Shepherd, was the first Hurricane Harvey rescue animal to be adopted today at our Lincoln Park Adoption Center. 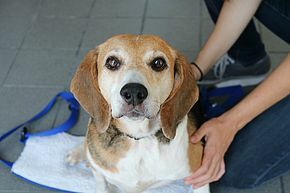 Look here to see the other pets currently available for adoption. And don't forget many of our rescues are in need of loving foster homes before they can be adopted. 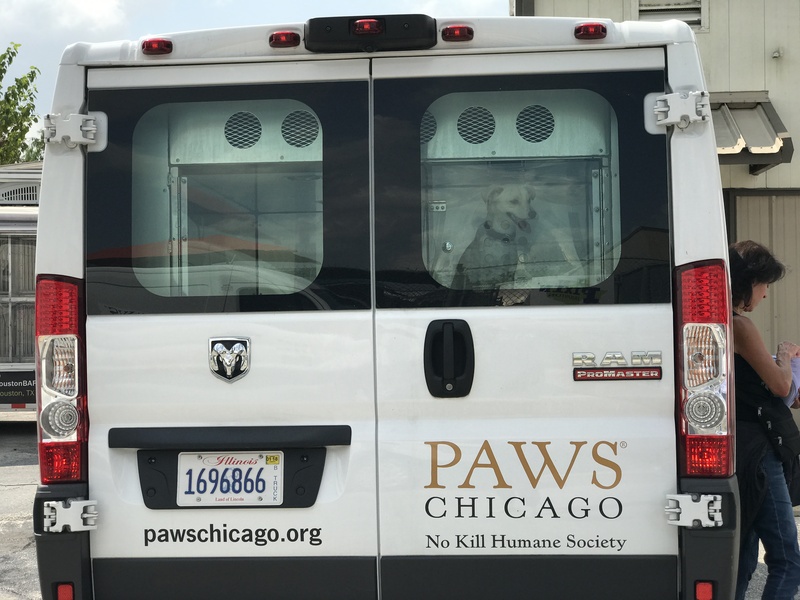 Please consider a donation to PAWS Chicago as we continue to meet the medical needs of these animals and work to find them loving homes. 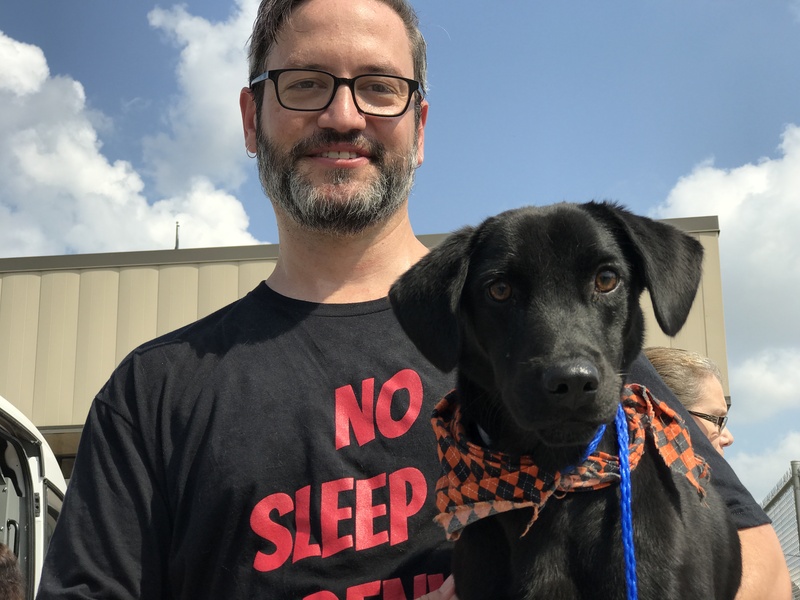 Girly is one of the animals that PAWS Chicago was able to rescue from Houston following the devastation of Hurricane Harvey. 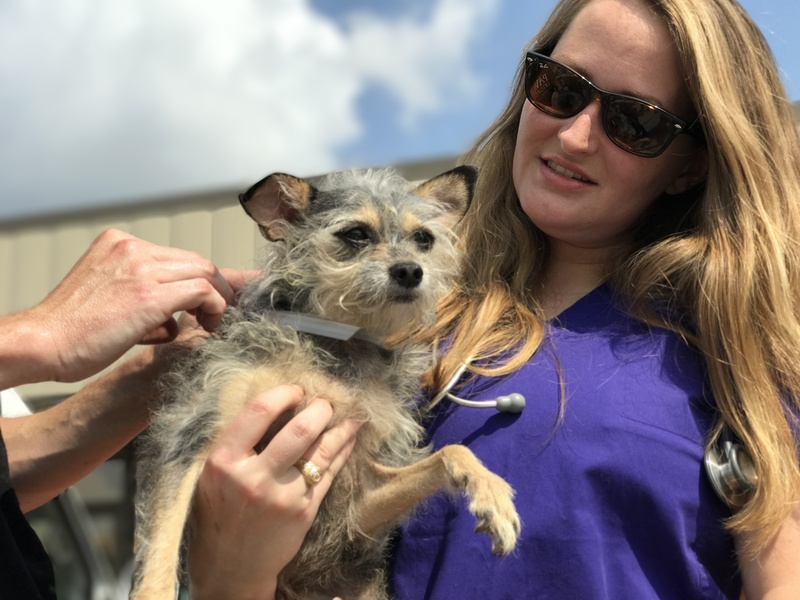 The PAWS team drove more than 20 hours each way to transport animals from a local shelter in Houston back to the PAWS Chicago Medical Center. 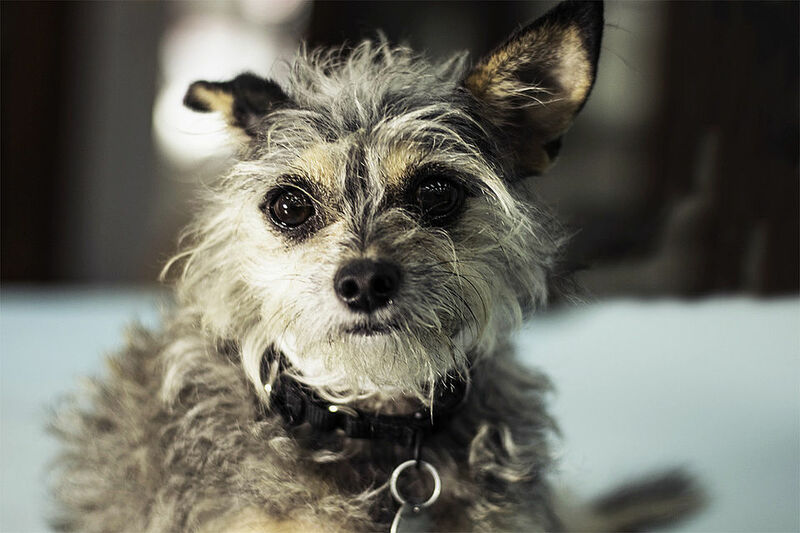 Many of the animals saved require foster homes while being medically treated before being available for adoption. The pets rescued by PAWS alleviated some of the overcrowding in the affected area. 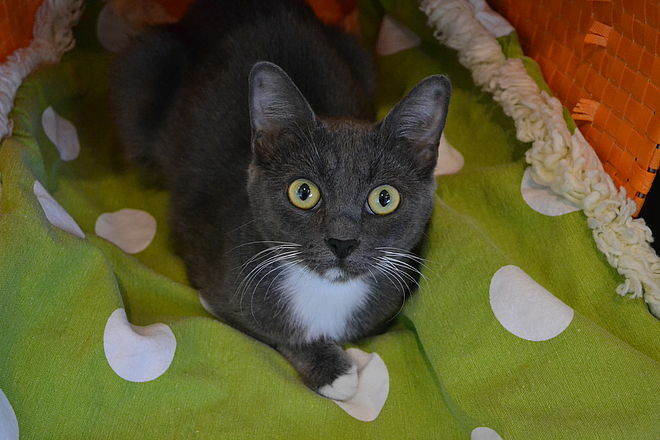 Girly is currently available for adoption and would love to meet you! 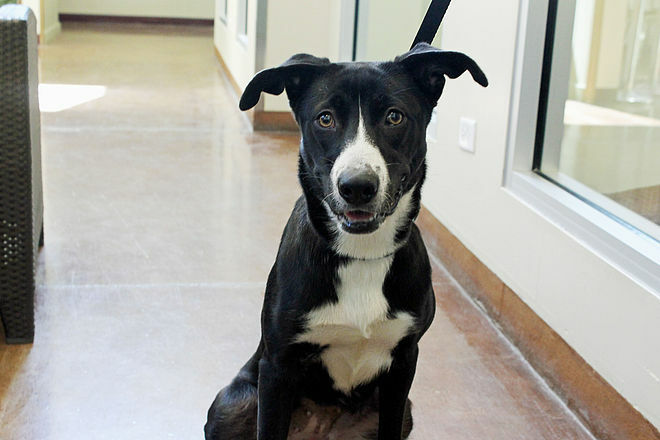 Stop by our North Shore Adoption Center at 1616 Deerfield Rd., in Highland Park, today. To see other Harvey rescue animals currently available for adoption, click the "Adopt" button below or visit one of our adoption centers today! After a complete medical exam, spay and neuter surgery, and lots of tender loving care, 10 very lucky dogs and cats made their way to our Lincoln Park and North Shore adoption centers. 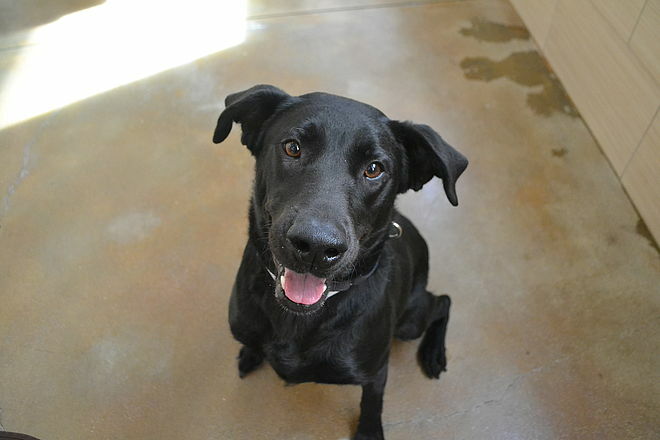 They, along with our other amazing animals, are available for adoption or fostering today! Look for them online identified by the orange banner below their picture that reads “Harvey Rescue”! 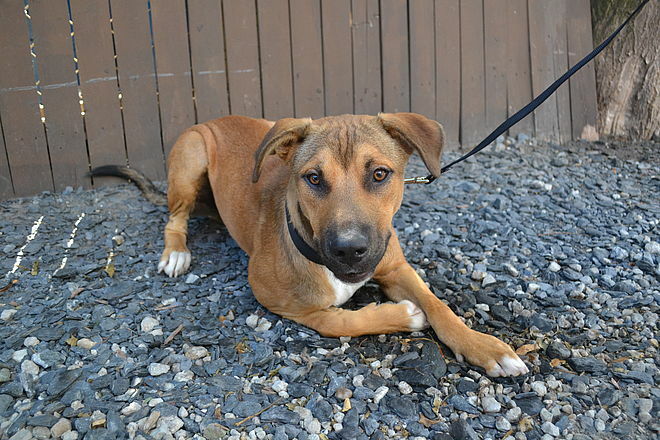 Remember every PAWS animal is worthy of your love and consideration as you look to adopt. 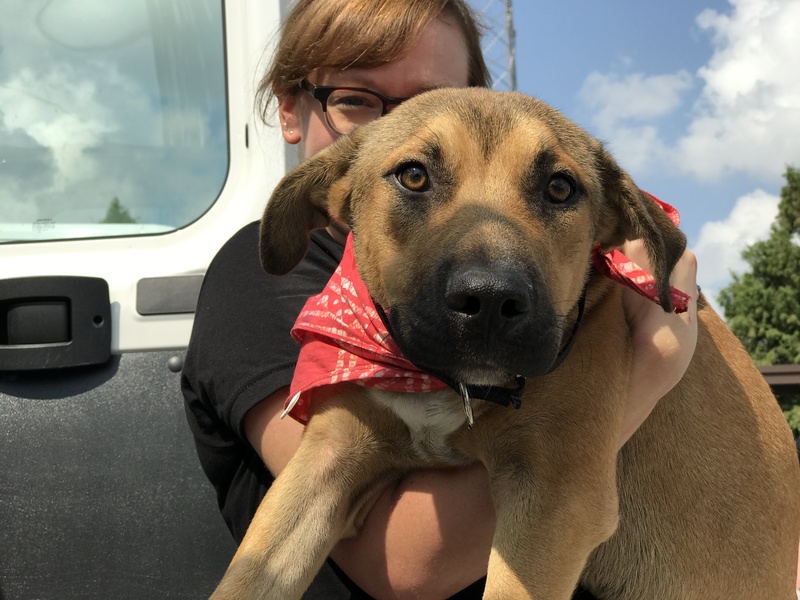 Also, many of the animals we have rescued from Texas are ill and will need loving foster homes as they recover. Find out more about fostering here. Sunday, September 3 - 12 p.m.
Our Houston Heroes have returned! PAWS Chicago volunteers arrived at our Medical Center this morning with more than 40 dogs and cats. They will receive medical exams and will start their journey in Chicago. 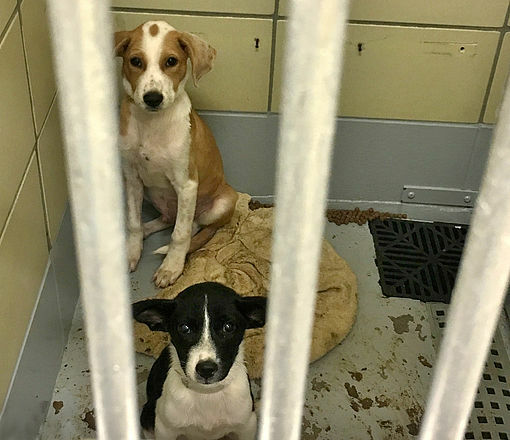 Many will need foster homes before they are cleared for adoption. Stay tuned for more information to come! Check out our Facebook page for some of their stories! Sunday, September 3 - 8 a.m.
And the "Houston Heroes" have reached Illinois! 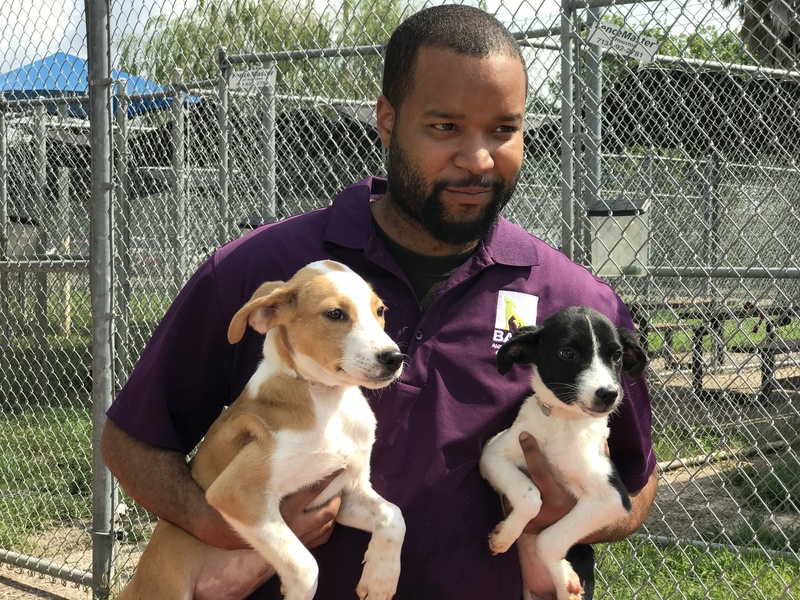 Check out the cuties who will be arriving at the PAWS Chicago Medical Center in a few hours! Once our veterinarians have performed their medical examinations, we'll have updates on when they'll be available for adoption. Saturday, September 2 - 12 p.m.
And they’re off! 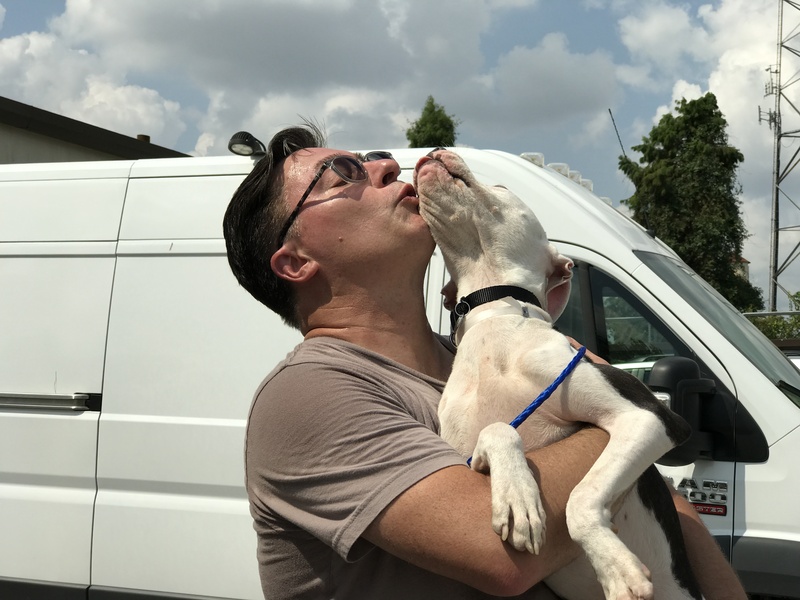 Our “Houston Heroes” have 43 dogs and cats loaded into our four vans and heading back to Sweet Home Chicago. 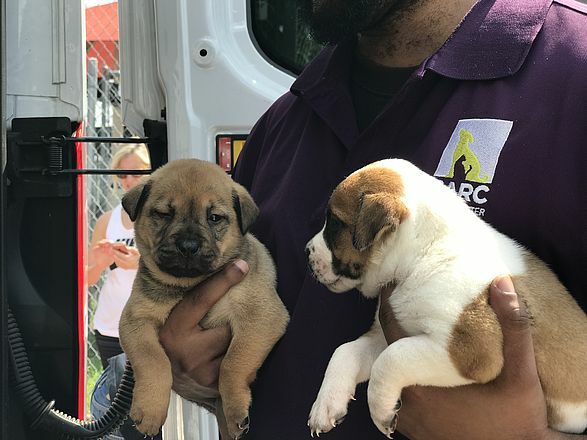 These sweet pets faced an uncertain fate in Houston after their hometown was devastated by Harvey, but now they are safe. They have a long journey back to Chicago, but stay tuned for more details on the rescue mission here and on our social pages. Thursday, August 31 - 8 p.m.
And they’re off! Our incredible “Houston Heroes” volunteer force left for the 17 hour journey to Houston, TX tonight. 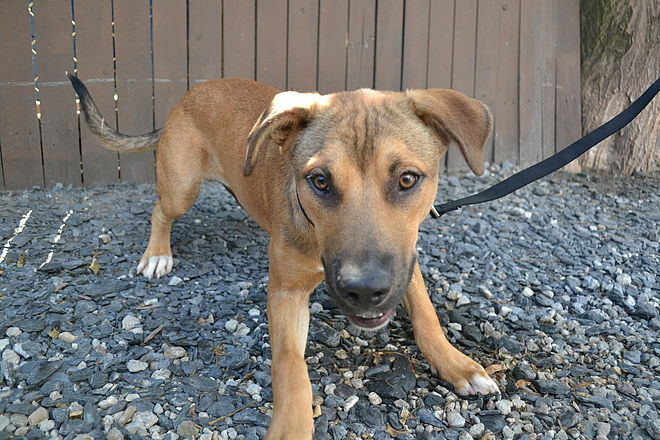 They will be rescuing animals who were already in shelters to make room for the influx of homeless pets coming in. We are so appreciative of our volunteers who helped prep the trip, those going on the rescue mission, and those who will help in the coming days welcoming the animals to PAWS Chicago, fostering, and beyond! Stay tuned for more updates! If you are able, please donate to help animals in need. Thursday, August 31 - 3:50 p.m. 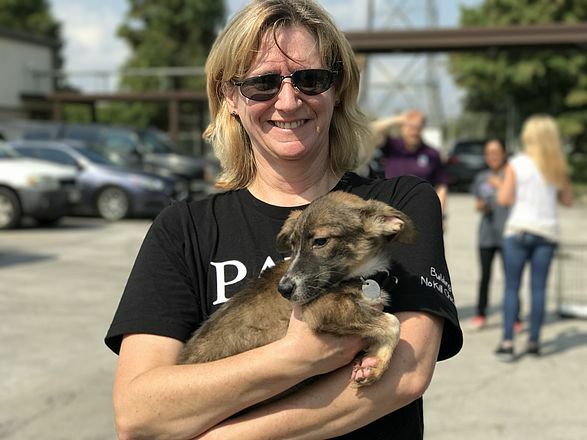 Early this morning, PAWS Chicago’s Founder Paula Fasseas touched down in Houston to start our lifesaving journey in Harvey devastated areas. A caravan of eight volunteers and three vans are leaving for Houston tonight! 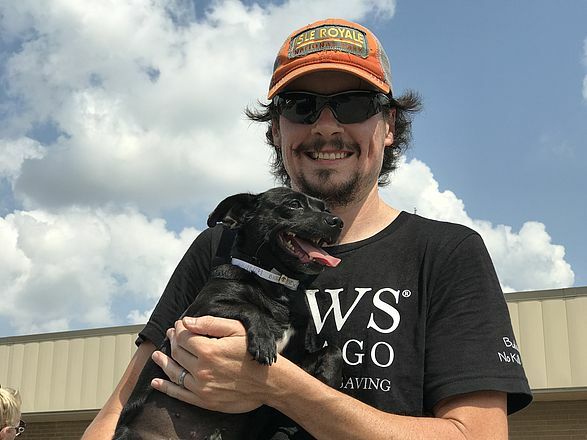 We are bringing back animals who were already in shelters before the disaster hit or who have been given up by their owners. This will make room for the influx of homeless pets continuing to enter shelters. 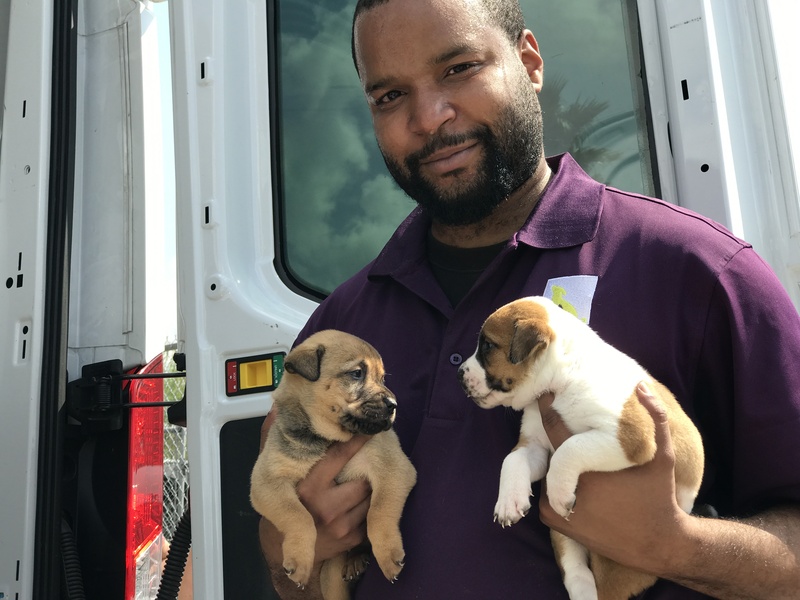 We appreciate your support and love for the pets affected by #Harvey. Stay tuned on our social media and website as this rescue mission continues over the next few days and we continue our efforts to help make long-term impact in the affected region. If you are able, please donate to help animals in need. 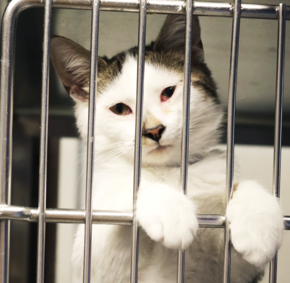 Open your home and heart to a vulnerable pet today. If you’d like to help, please consider making a donation.